I.G. MacCullock & Sons can service all makes and models. 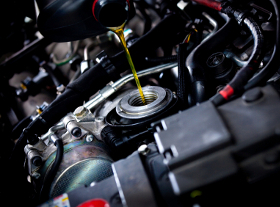 So what ever your vehicle and what ever level of service you need, we can help, whether you need an oil change, brakes checked, cam belt change, etc. Just come in and see us or call 01837 52776 to book your vehicle in. Did you know? 15 million cars are driving around with their oil level too low! Read more.